Polish: A Comprehensive Grammar is a complete reference guide to the grammar system for all learners of Polish. It presents an accessible and systematic description of the language, focusing on real patterns of use in contemporary Polish. The Grammar is a comprehensive work and an invaluable resource for students and anyone interested in linguistics and the way modern Polish works. Features include: coverage of all parts of speech full cross referencing well selected and illuminating examples. 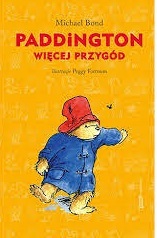 The book is organized in such a way to promote a thorough understanding of Polish at all levels of structure; the sound system, formation of word and phrases and sentence construction. It offers a stimulating analysis of the complexities of the language, providing clear explanations and examples of each point. Polish: A Comprehensive Grammar is the essential reference work on Polish grammar for all learners and users of the language.